Posted February 27th, 2017 by Capital Models & filed under News. That’s the beauty of being a professional model maker in central London; you never know what the next brief is going to be. 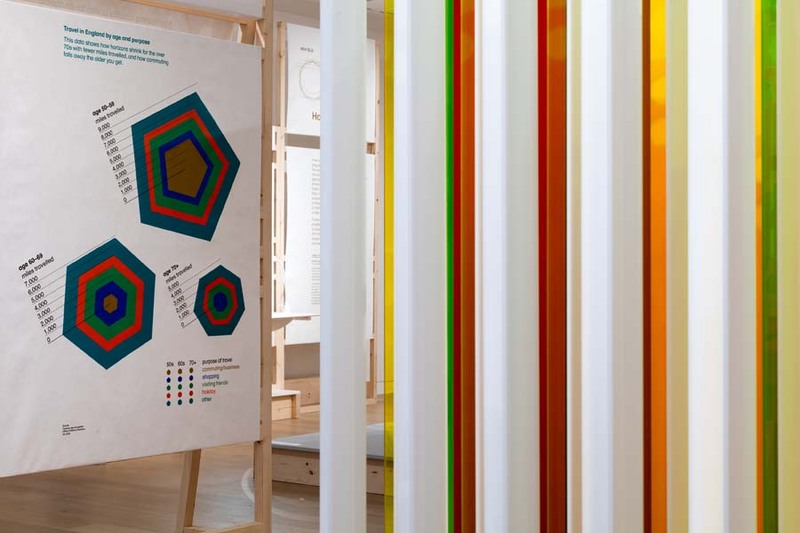 So, when a project comes through the door that is genuinely interesting, thought provoking and informative, as well as allowing you to display your work in the London Design Museum, you know 2017 has got off to a good start! The ‘New Old’ pop-up exhibition (12th Jan to 19th Feb) explored issues relating to Britain ageing. With the over 60s already outnumbering the under 16s in the UK and half of Europe’s population predicted to be over 50 by 2020, we are certainly about to witness a huge social change. Curated by Jeremy Myerson, the show included everything from robotic clothing to artificial intelligence. It also looked at how other countries like Norway and Japan, (the worlds most rapidly ageing country) are shaping developments with an age-aware approach to design. We were tasked with producing the exhibition’s centrepiece display, a stunning giant 3D bar graph of different coloured acrylic columns. The display was a blast of colour with the columns represented the UK’s estimated ageing population and projections between 2014 and 2039. Our client, Lucienne Roberts Plus had a very clear creative vision for the project and so we worked to a specific brief in terms of colour and materiality. We closely collaborated with them discussing various options for fabrication and suggesting the best available methods. By considering many options of how and what, we quickly found out for example, that off-the-shelf colour was not available and so advised using custom sprayed acrylic. Seeing all these elements come together to fulfil a specific brief is so rewarding and we’re proud that art model makers Capital were able to fulfil the vision that the Lucienne Roberts Plus team had. The centrepiece 3D infographic we produced helped transfer information in a succinct way and encouraged people to interact and participate. Adjacent to the centrepiece was the ‘interactive’ area, which was formed of age categories. 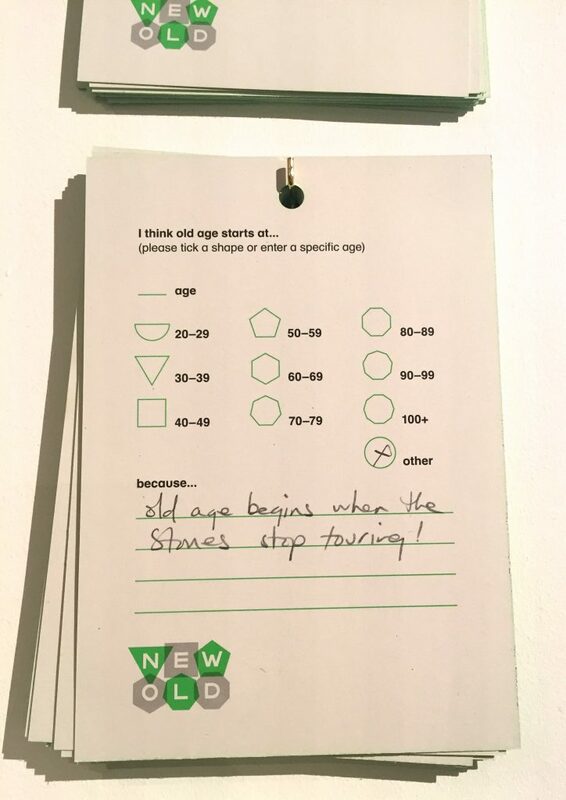 This part of the exhibition was where people were invited to have their say and fill out cards saying when they thought old age started and why. Once a card was filled out, it was hung at the appropriate age range section which was colour coded according to that age bracket (we also produced these coloured acrylics by using laser-cutting techniques). An Ipsos MORI poll that had been carried out for the exhibition revealed that in the UK we think old age starts at 73 with 8% of us refusing to think of any age as ‘old’.